Asus , Lenovo, Intel and Nvidia are using CES to show off their latest tablet and PC innovations headed to store shelves later in 2013. But gadget makers would be better off focusing on slates rather than notebook PCs, one market research firm suggests. Tablets in 2013 will become more popular than ever blowing past worldwide shipments of notebook PCs for the first time. Leading the tablet charge will be one-panel touch slates with 7- to 8-inch screen sizes. That's the bullish prediction from NPD DisplaySearch in its Quarterly Mobile PC Shipment and Forecast report. The market research firm says that tablet shipments will reach 240 million units worldwide in 2013 followed by notebook PCs at 207 million units. The gadget predictors are also betting that by 2017 tablet shipments will account for nearly 75 percent of all tablet and notebook PC shipments combined. NPD did not specify what it considered a tablet (what it calls tablet PCs) so it's not clear where new Windows 8 hybrid laptops and tablets with keyboard docks fit in to the forecast. NPD's predictions feel bullish considering tablets in their current form have only been around since 2010, with the introduction of the original iPad. Compared to notebooks, slates are still maturing in terms of computing power and functionality for business and home use. Intel’s reference design for a hybrid laptop includes one-button, one-handed detachment of the tablet/display. Nevertheless, you don't need to look much farther than this year's Consumer Electronics Show for signs of a coming tablet-notebook shift. My PCWorld peer Loyd Case recently noted that many critics are wondering if Intel can handle the competition from companies such as Nvidia and Qualcomm that produce ARM-based processors for mobile devices. ARM chips are the more popular choice for use in tablets, and other than a number of Windows 8 tablets, devices using x86/x64 chips (Intel's processor architecture of choice) are scarce. But Intel is also trying to battle tablets with notebooks using the chip maker's Ultrabook class of tablet-like ultraportable PCs first introduced in 2011. Despite a few reasonably priced notebooks packed with Ivy Bridge Core processors that rolled out last year, costly Ultrabooks in 2012 were a largely a flop. But 2013 is a new year and a new hope for Ultrabooks as the specialized class of laptops takes on more tablet-like features. This year's crop is expected to come packed with touchscreens optimized for Microsoft's touch friendly Windows 8, convertible tablet functionality, and long-lasting batteries. Although big on tablets, NPD also notes that notebooks could see a bump later this year when Intel rolls out its Haswell CPU that will succeed Ivy Bridge Core processors. 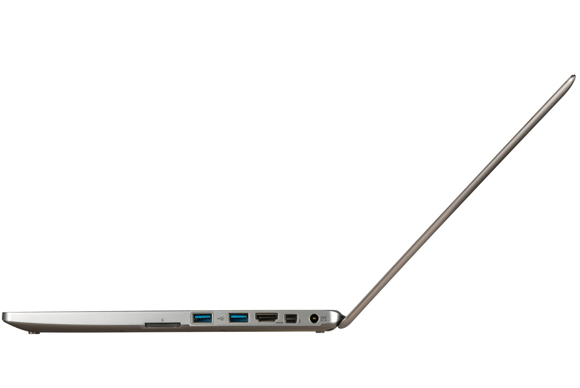 Intel hopes Haswell will allow device makers to create Ultrabook convertibles for as little as $600. The chip maker at CES also introduced a revamped version of Ivy Bridge that consumes less power than its predecessor. Towards the end of 2013, Intel is also slated to release Bay Trail, the next version of low-powered Atom mobile processors. A $600 Haswell-based Ultrabook would be particularly interesting since that would put notebook-tablet hybrids within spitting distance of 9- and 10-inch tablets, typically priced around $500 and up. But Ultrabooks will still be more expensive than devices such as theKindle Fire,Nexus 7, and iPad Mini. The tablets that NPD expects to dominate the worldwide market in 2013 with starting prices ranging between $200 and $330. But even if 7- to 8-inch tablets dominate in 2013, it's a long way to 2017 when tablets are expected to dominate mobile PC shipments. And if CES and the Windows 8 rollout in late 2012 are any guide, by 2017 tablets and laptops may have very well converged into a single hybrid device.